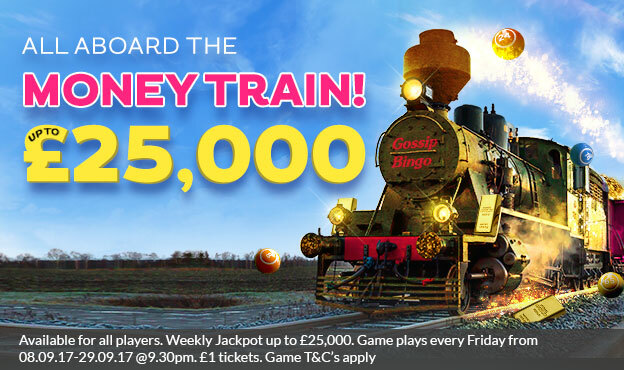 Money Train is a weekly jackpot, up to £25,000 can be won with a guaranteed win of £1,500. Game plays every Friday from 08.09.17-29.09.17 @9.30pm. 75 ball bingo game. Card price is £1. If more than one player wins the jackpot, the jackpot will be split amongst tickets. One player can have a maximum of 96 cards per game. Gossip Bingo reserves the right to change or remove the promotion at any time without prior notice.